I have all of a sudden lost my lighting tab on CAM. I've restarted my computer 1 too many times, and have re-installed CAM several times....my kraken is working, but really regretting spending the money for RGB cooler that I cannot control....I want this resolved ASAP! Cam causes computer to turn off. CAM causes the computer to randomly shut down when it's running. I have 3.6.6. Fans won't spin at all unless CAM is running, so this is quite annoying. I have tried uninstalling and reinstalling CAM, but it doesn't help. Hello, which version of CAM are you using? 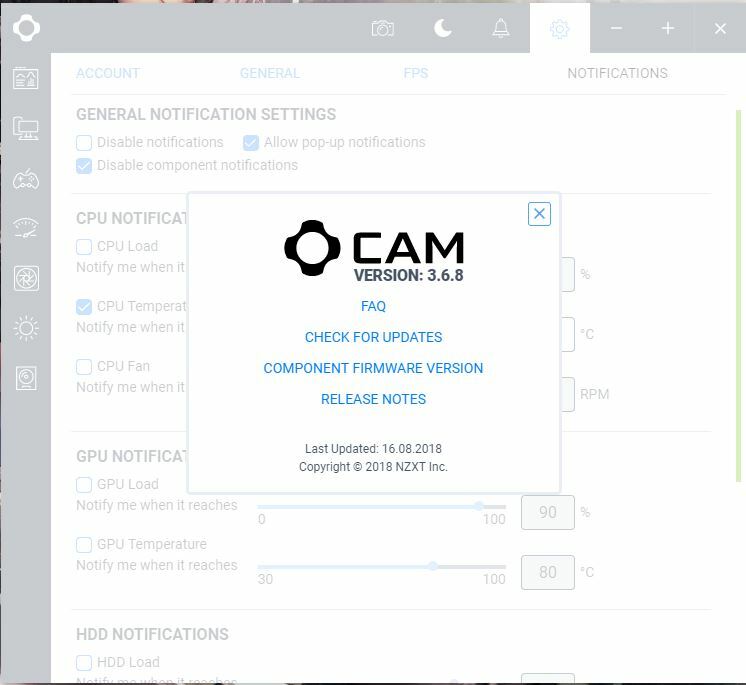 The latest version is 3.6.6, if this is not the version you are currently using, please download it from https://camwebapp.com/download/ and let us know if the issue continues to happen. Thanks, and sorry for the inconveniences. 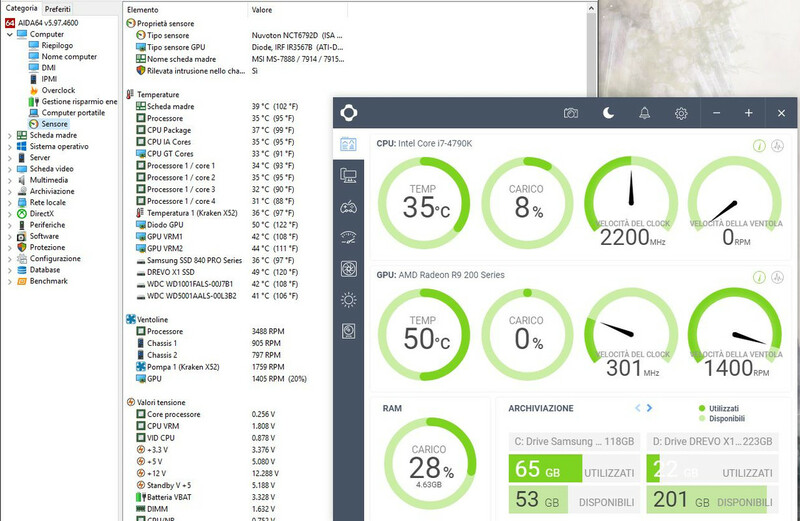 My c with ryzen utility is 28-30c, with cam it's 43-44. It was 54-55 b4 because i did not let the thermal paste cool down. Hi, what type of setting are you trying to do in the different channels? Please describe it with as much detail as possible so we can see how to help you. Thanks. Hello, are the light strips being detected? Do they light up in any color? Or are they off? If they are off, they could be connected incorrectly or the cables could be damaged. If they light up but the lighting tab does not come up, we would need to see your program logs to verify if CAM is not detecting them correctly. Bonjour, au démarrage de mon pc Cam 3.6.6 ne ses pas lancer, et impossible de le lancer via le laucher, j'ai utiliser l'outil de réparation du logiciel, désinstaller et réinstaller et lancer en mode administrateur mais rien a faire il ce lance pas, mais ce lance avec la version 3.5.9 trouvé sur le net, ayant un kraken x72 un hue+ et un gridv3+ et au prix ou j'ai payer ce matériel merci de bien vouloir corriger votre logiciel rapidement ! 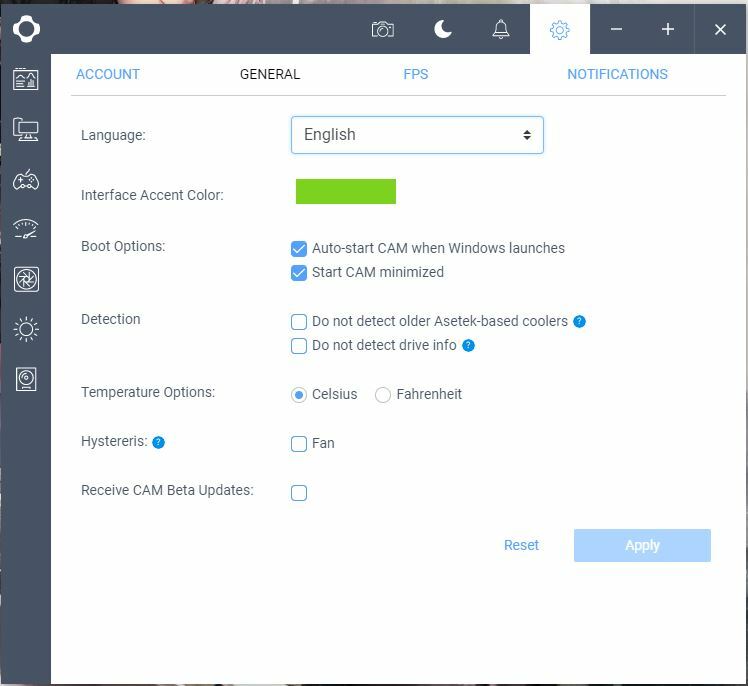 Hi, in version 3.6.6 there is a bug that if you have “Start when Windows starts” and “Start CAM minimized” both selected, CAM will not auto start, but if you de-select “Start CAM Minimized” it should start with Windows correctly. This has been informed to the devs and we expect to have it fixed for the next update.